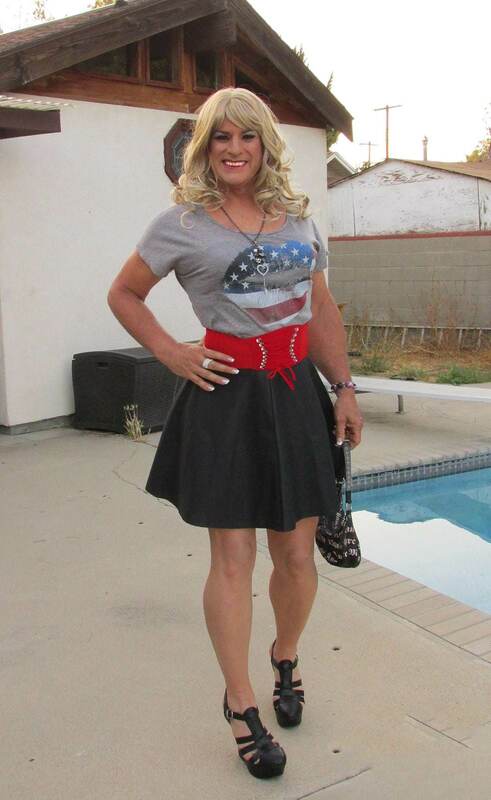 Home / Crossdresser Photos / Outfit / Happy Fourth! Great Photo Amanda, Happy 4th of July! OMG! Amanda you are so cute in that outfit! Great shoes, great skirt, great hair, great girl! Amanda, you exude stlye and class…I wish we could club it together ?! Youve got some legs, girl!